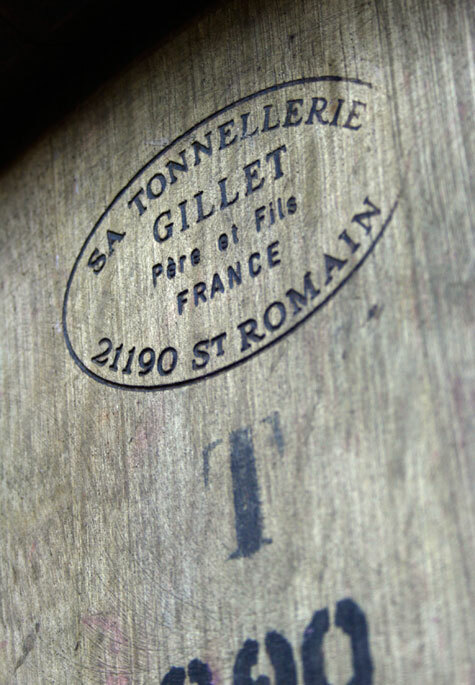 I’ve been looking into sourcing a few new (or new to us) French oak barrels for the coming year, since our current stock is all pretty much neutral by now (barrels are considered “neutral” – imparting no significant flavor or smell to a wine – after 4-5 years). But in trying to bring myself up to speed on the whys and wherefores of choosing a barrel, I began to accumulate more questions than answers. If someone says Quercus sessiliflora, should I say “gezundheit”? What exactly does a French tree taste like, and can you do it without getting splinters? And perhaps most importantly, does “V HTTH” burned into its head mean that particular barrel has something to do with Van Halen (“Van Halen To Th’ Hilt”?) – and if so, how can I stop my barrel from runnin’ with the devil? All legitimate questions I’m sure you’ve asked yourself, but Jamie, cry no more: that ol’ internet has the answers, after the… Jump! French oak is commonly divided between two species, Quercus robur (which sports wide grain, or more space between the annual growth rings of a tree) and Quercus sessiliflora (a tighter-grained species). While a wider grain imparts more flavor to the liquid, tighter grained wood is generally preferred for wine, since barrels made from it are easier to make water-tight. And those barrels will impart flavor more slowly – in other words, you can keep the wine in it longer before the oak flavors or tannins become overwhelming, reaping the benefits of an oak barrel’s natural micro-oxidation over time. The average age of the trees used for barrels is between 120-150 years, so it will come as no surprise that what can be cut and how often is strictly controlled by the Department des Eaux et des Forets. Limousin (li-moo-sahn) oak is tough and coarse, apparently the result of poor growing conditions. While it adds a nice vanillin note, barrels made from this oak tend to fairly aggressive and “simple” on the palate, perfuming and coloring wine rapidly with what most winemakers regard as little finesse. (To put it another way, if someone offers your wine a ride in a long black Limousin, keep walking.) But that seems to suit cognac makers just fine, so they have this oak pretty much to themselves. Nevers (ne-vere) oak comes from the many forests of the Nievre DÃ©partement in the center of France, a gently rolling region with rich and moist soil. 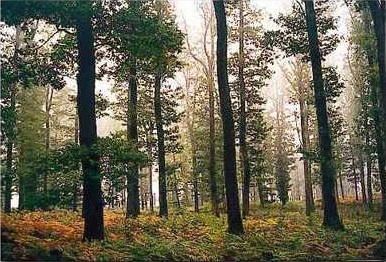 The trees grow tall and straight, producing logs that are generally medium- to tight-grained. Barrels made from Nevers oak are said to contribute a spicy, almost cinnamon-like flavor, though if not toasted enough, the more aggressive tannin in this oak tempt some to never say Nevers. Allier (ah-leay) is just south of Nievre. Its oak is fairly similar to that of Nevers, although usually more tight-grained in structure. It releases its perfume slowly with finesse, and seems to produce spicier oak notes. 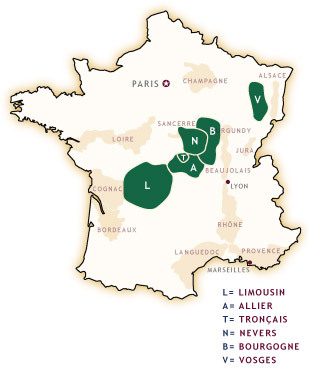 TronÃ§ais (tron-say) is a famous subsection of the Allier forest, with deep, fertile soils producing trees of great size with often the tightest grain, so it’s a favorite of winemakers looking for slower extraction and more finesse on the palate. As you can see from the map, the TronÃ§ais forest is “dinkÃ©e” (as inebriated natives might say) and its production is highly regulated, so there’s a lot of competition for it. Bourgogne (boar-go-nya) oak comes mainly from the forests of CÃ®teaux, to the east of Nuits Saint Georges in Burgundy’s CÃ´te d’Or. Its high vanillin profile makes it similar to Limousin oak, but it’s tighter-grained so its tannins are less aggressive and its extraction more subtle. These are the Ents of the French oak barrel world, but are many others, some within the regions mentioned above: Bertrange (a forest within the Nievre said to be favored by DRC), Jupilles (just southeast of Le Mans on the edge of the Loire Valley), Sarthe, Billon, Cadus, Damy, Vicard, and more. The best barrels are typically made from wood that’s been cut into rough staves and “air dried” for 2-3 years. During that time, exposure to the elements leaches out some of the harshest tannins from the wood, making it more friendly to wine production. To speed up the process, some manufacturers practice kiln drying, but aficianados think it doesn’t produce as good a product. After the staves are cut to shape, the barrel is assembled (to make sure it works) and then partially disassembled so it can be “toasted” (dude, I know!). A fire made from leftover oak staves is lit inside the open barrel until it’s charred to the level a winemaker desires: light, medium, or heavy toast, with a number of variations in between. Winemakers can also specify whether they want the heads (the ends of the barrel) toasted as well. James and I witnessed a barrel toasting at the IPNC last year by Oregon Barrel Works, and like making the barrel in the first place, it’s clearly as much an art as a craft. Thusly emboldened with this cocktail-party-stopping knowledge, you now possess the arcane power to decode a wine barrel. If it says “V HTTH,” for example, you know it hails far east of Eddie Van Halen from the Vosges forest, it’s been heavy-toasted (HT), and furthermore, that its heads have been toasted (TH), too. The range of designations runs like this: LT, LTTH, MT, MTTH, MT+, MT+TH, HT, HTTH, SHT (the latter for “slow, heavy toast”). Of course, how pyromaniacal you are with your woody vessel will have a direct impact on the flavors the barrel imparts to the wine. And as you might imagine, a medium toasted barrel with untoasted heads will produce different flavors than one whose heads have also been toasted. Ultimately, it’s a question of style, but aggressive toasting – and especially head toasting – seems to have peaked as winemakers (and, slowly, critics) begin to realize that wood ought to flatter the wine, not the other way around. As one winemaker put it to me years ago, oak ought to be like salt flavoring your food: if you can taste it, you’ve used too much. In untoasted or lightly toasted oak, the lactones tend to dominate, so barrels thusly singed impart more woody or coconut flavors to a wine. As you begin to ramp up the toast, sugars in the wood caramelize and degrade, raising the profile of furfural, vanillin and eugenol compounds to inspire butterscotch, vanilla and clove/cinnamon flavors in a wine. And if you forget to turn off your flamethrower on while you’re on the phone with the Wine Spectator, you can expect to highlight the guaiacol compounds, producing flavors like burned toast, espresso, or bitter chocolate. This quick primer just scratches (chars?) the surface, of course. For more, I can recommend the excellent research sections on the Bouchard Cooperage and Nadalie-USA websites, especially if you’re dying to know what a “spider graph” is.